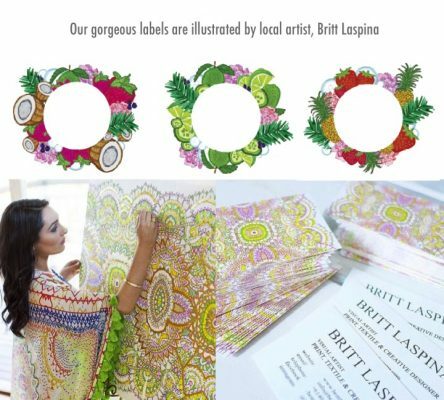 Britt Laspina is one of Australia’s leading print and textile artists, specialising in colourful and unique designs both originally hand drawn and painted. 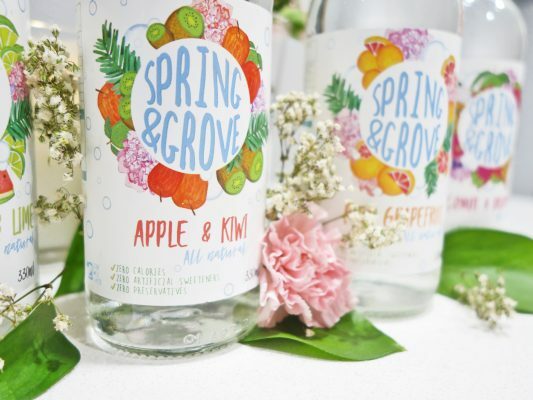 We were thrilled when Britt agreed to illustrate the designs that are now the standout feature of our Spring & Grove bottles. We always get such positive feedback on our branding with customers and stockists often commenting on how fresh and inviting they look. This entry was posted in News and tagged Britt Laspina, Flavoured water, packaging design, Sparkling water, Spring & Grove, textile design.